Happy New Year! The Year of Your Heart’s Desire is a timely reblog from 2011. Make 2018 the year of your heart’s desire! Have you made a New Year’s resolution? If so, stop right now and notice how it feels to you. Did you sigh wistfully, thinking “the party’s over soon,” or sense a need to buck up and get discipline? Did the feeling energize you—or deflate you? It’s estimated that only 10% of New Year’s resolutions are achieved. And it’s no wonder, given that they are often uninspired. The Latin root of the word resolution is resolutionem ‒ the process of reducing things into simpler forms, loosening or “unbinding.” In his Word Power blog, Gregory Rineberg points out that in the last 500 or so years, we have used the word resolution to mean just the opposite ‒ holding firm in determination, resolute in pursuing a course of action. Does my goal or resolution reflect a “should”‒ something I think or have been told I should do? Is the goal more important to someone else than it is to me? Does the thought of doing or achieving it give me energy or take the wind out of my sails? Have I pursued this before without lasting success? Sometimes we formulate resolutions as some sort of punishment for our supposed failures (“I ate too many holiday desserts…” or “I took too much time off…”). A goal born out of regret is handicapped from the start. What higher purpose is achieved when you get what you say you want? Is that your true heart’s desire? Lead from your heart. Decide first what you desire, what purpose you are pursuing, then, and only then, define the action steps. Test the actions with the question, “What will that get me?” and include positive effects as well as negative ones ‒ before resolving to achieve them. A helpful hint regarding purposeful action: you’ll know it when you feel it, not when you think it. Our new book, “Erik’s Hope,” is the culmination of my 13-year pursuit to share the lessons of a shelter dog named Erik with the rest of the world. The goal of publication has been achieved, and at the same time, the journey is just now beginning. I have never been filled with more resolve to have this story reach others who can consider and apply the lessons in ways that transform their own lives. My resolve is born out of my deep knowledge that this experience with Erik, this message of hope and inspiration, is purpose-based. It’s one of the things I’m here to do in this life, and it gives me joy. So go ahead, resolve to lose weight, save for retirement or leave work earlier. These are noble pursuits for sure. But first ask yourself the question, “What will that get me?” If the answer fills you with passion, if you feel a sense of purpose or meaning, you’re on the road to success. This life we are leading here on planet Earth is finite. While it’s fleeting by eternal standards, we all are here now for a reason. In the summer months, we rise before 5 am to take the dogs on once-daily hikes before the unforgiving sun comes up, leaving them no choice but to retire indoors to our stone floors and air conditioning. It’s a treat for humans and canines alike, and usually it’s an urgent matter. On some mornings, the weather is better than on others. If there have been no monsoon rains to add humidity, and if there is even a slight breeze, the pre-dawn is almost pleasant. If the air is laden with moisture from an overnight downpour, the heat is already oppressive at 5. 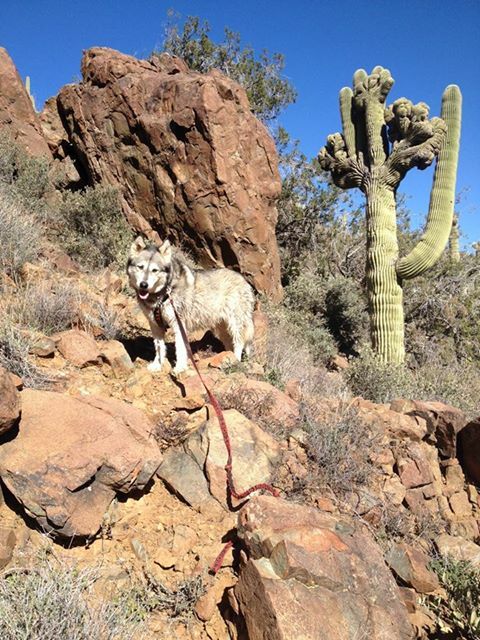 On one such morning, Whisper, our ten-year-old Malamute, decided she wasn’t going. My hiking buddy Beth and I were shocked the first time Whisper stood glued to my husband Arthur’s leg, refusing to go with us and the other dogs. I was concerned that she was ill, but when I got out onto the trail I began to think she had the right idea. She chose to take it easy on a day the environment prescribed ease. The next day, a much more pleasant one, she enthusiastically joined us. Each day since, Whisper has decided if she wanted a longer, more strenuous walk with us or if she would rather go to the barn for the morning feed, followed by a short and gentle walk with Arthur. She’s very clear, and she decides in the moment after checking the weather from an outdoor deck. One day last week I asked her, “Do you want to go to Spur Cross? (a nearby county park),” and was met with an excited “Woo woo woo.” The very next day her body language told me she was staying close to home, and she did. Once again, Whisper has sage lessons for us. 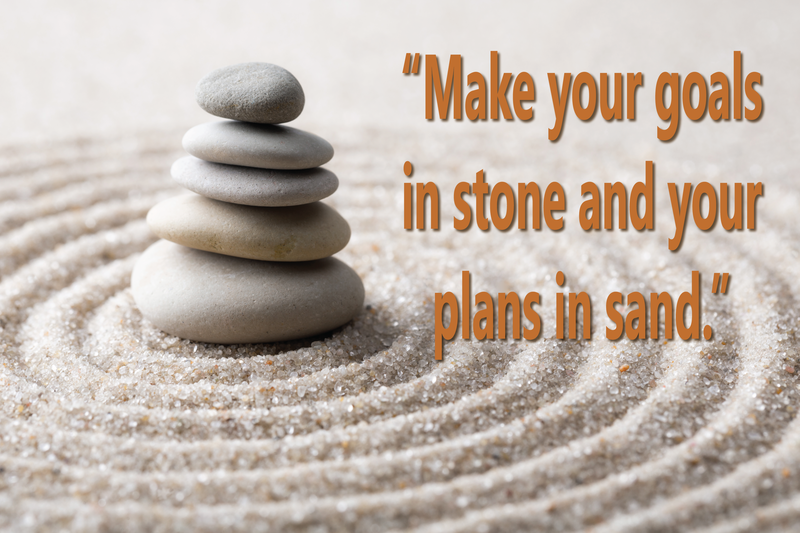 I’ve always loved the saying, “Set your goals in stone and your plans in sand.” This summer, Whisper has been a role model for making routine and relatively inconsequential decisions in the moment, based on the circumstances that present themselves. If that sounds like obvious advice, consider this story. The other day, while walking up my driveway with Beth, I was puzzled as to why she had parked her car in a tucked-away space. As it turned out, she planned to do so the day prior, thinking that another friend was joining us. She didn’t want to block her in. While certainly a positive gesture, the problem was that her plan was no longer valid. The other friend’s “plans” had changed. Beth knew this, but still wedged her car in the inconvenient spot. As soon as the words left her mouth, she was reminded of Whisper’s lesson. Do you ever waste the precious present moment planning things that are best determined in another, future, moment? Do you ever follow through on plans that are no longer justified? Personally, Whisper’s behavior has reminded me of my goal for self-care. If my plan does not support my goal, perhaps I should change it. A long time ago, Beth offered me this advice: “If you do the right thing for you, it will probably be the right thing for others.” It’s tough for me in practice, but my dog makes it look easy. Are you doing things out of an unfounded sense of obligation? What if you chose to hang out at the barn instead hiking up a mountain? The last lesson involves giving another the freedom to change his or her mind. It was tempting to coax and cajole Whisper. After all, what dog would not want to hike? We refrained, honoring her wishes. I’m not sure we could have dragged her out of the house anyway, but we could have gotten ourselves all worked up trying. Isn’t that how it usually goes? Do you honor the wishes of those you care about, or do you try to persuade them to follow the plan that seems right to you? This next day, consider your and others’ plans as blowing sand. Where might they take shape? 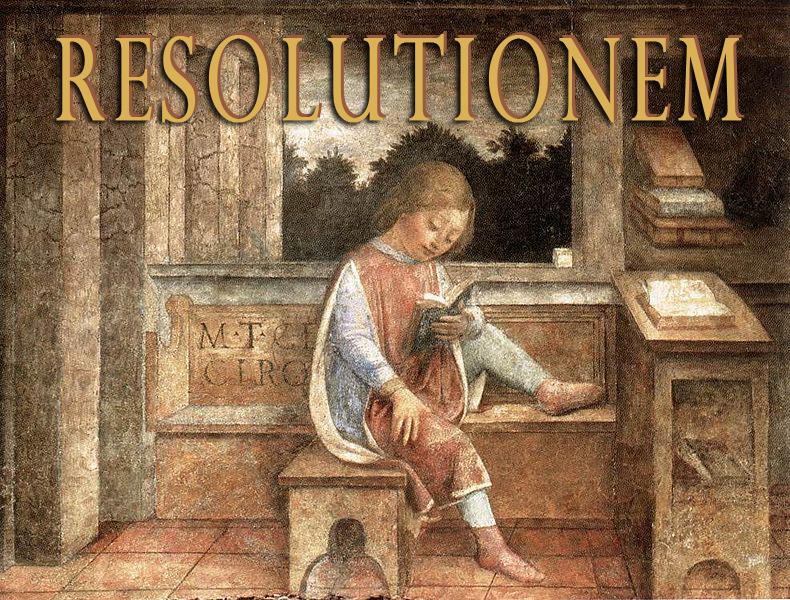 Did you know that the Latin root of resolution is the opposite of our firm determination in setting new year resolutions? Happy New Year! The Year of Your Heart’s Desire is a timely reblog from 2011. Make 2014 the year of your heart’s desire! What higher purpose is achieved when you get what you say you want? It that your true heart’s desire? This life we are leading here on planet Earth is finite. While it’s fleeting by eternal standards, we all are here now for a reason. Make 2012 the year of your heart ‘s desire.